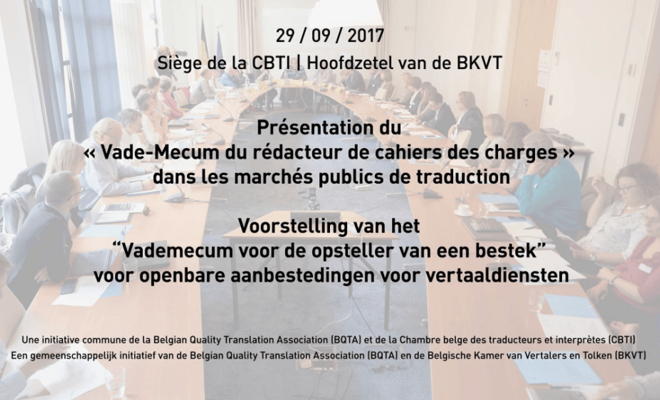 The Belgian Chamber of Translators and Interpreters (CBTI) and the Belgian Quality Translation Association (BQTA) have joined forces to produce a guide for public authorities that write and publish calls for tender in this industry. 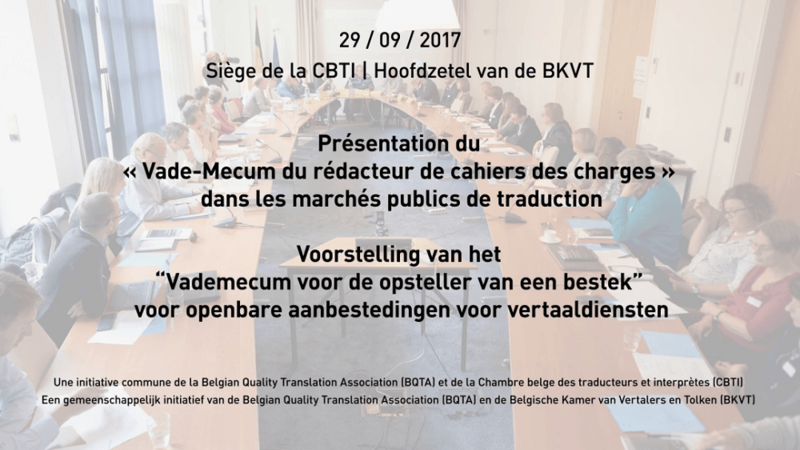 The Vade Mecum for Authors of Tender Specifications was presented to the press, specification writers and economic stakeholders and politicians on 29 September 2017. Download the vademecum..